Are you interested in supporting your community? 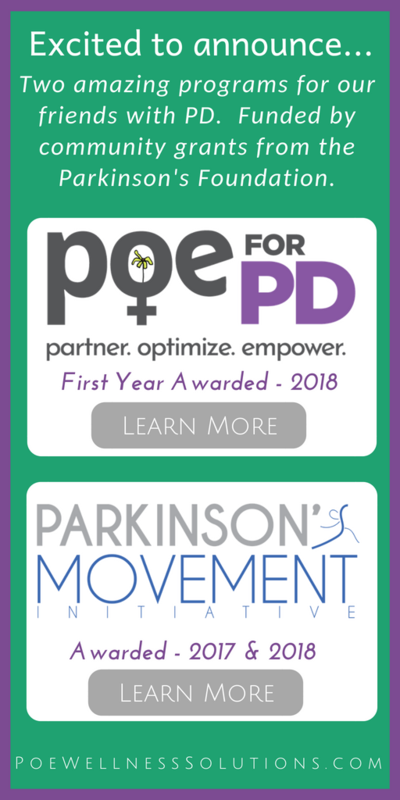 Become a Parkinson’s Movement Initiative Volunteer! We are looking for volunteers to support Dance and Pilates for Parkinson’s. What makes a good volunteer? To learn more or sign up contact Meg (meg@poewellnesssolutions.com) or Susan (ncdanceforparkinsons@gmail.com). Get FREE tips for Health + Happiness delivered straight to your inbox.